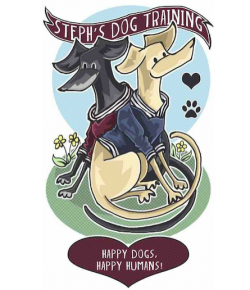 You can contact me using the form below, or by emailing steph@stephsdogtraining.ie. You can also get in touch by telephone on 083 033 5992. I can be hard to catch on the phone, as it’s often on silent. If you can’t get hold of me, please feel free to send me a text message letting me know when would be a good time for me to return your call. I aim to respond to all queries within 48 hours.